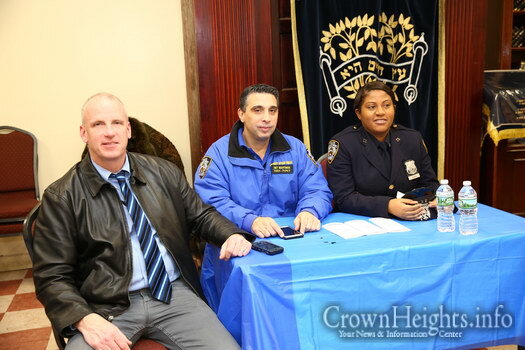 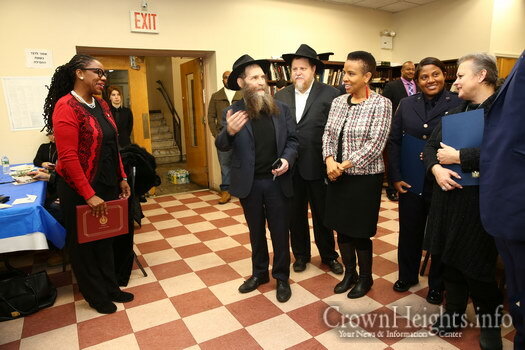 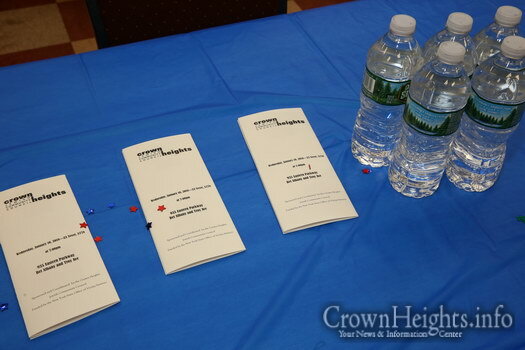 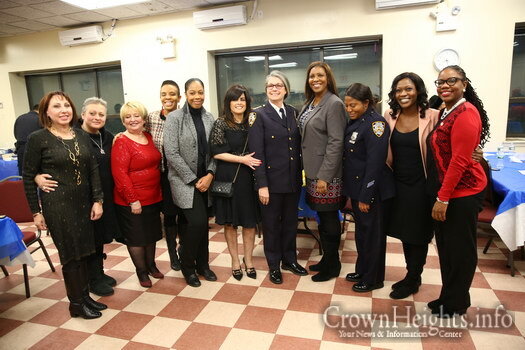 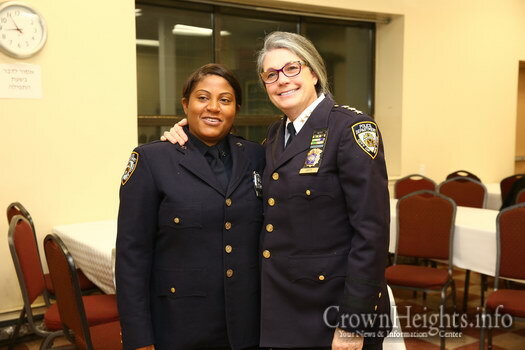 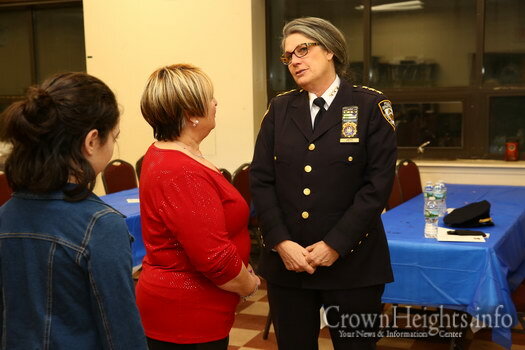 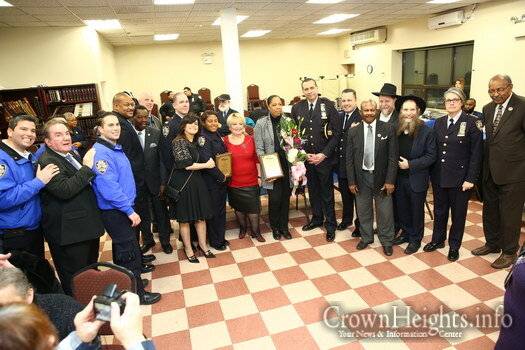 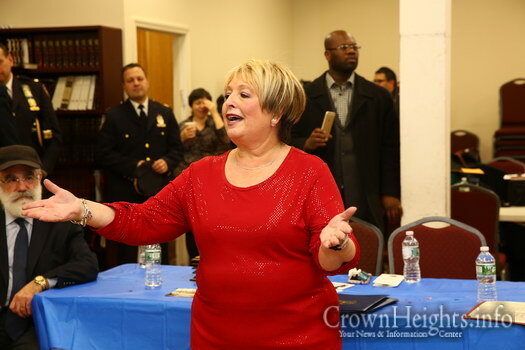 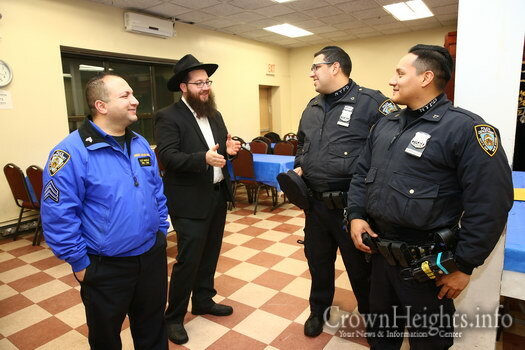 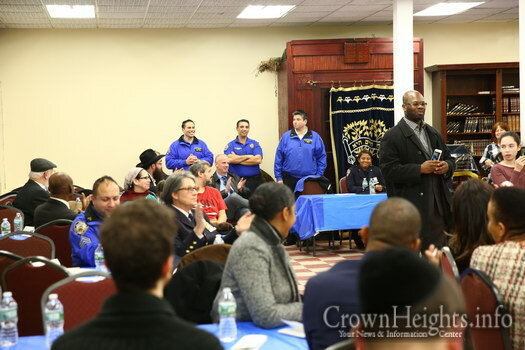 Female advocates and police officers were honored at an awards ceremony in Crown Heights. 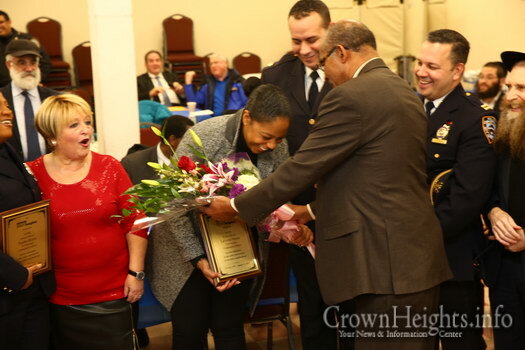 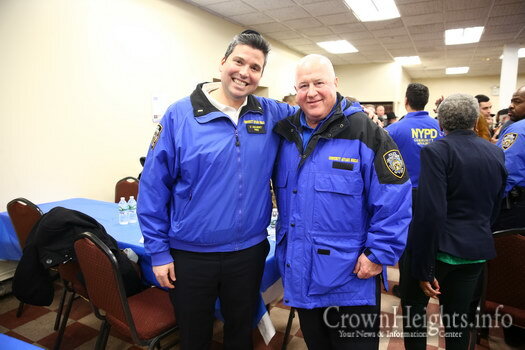 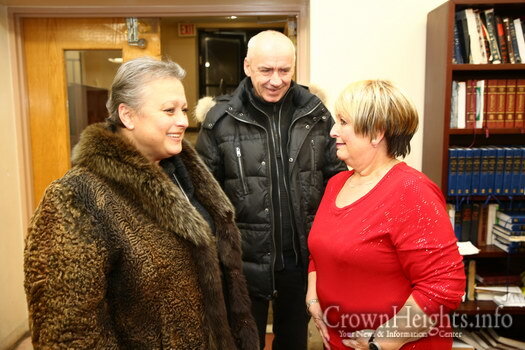 Their work in assisting victims of crime was recognized and their efforts were celebrated by a crowd of local residents, politicians and police brass. 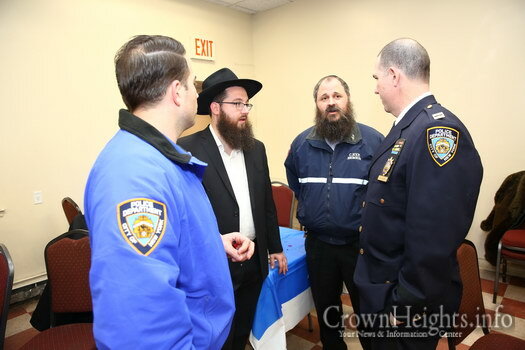 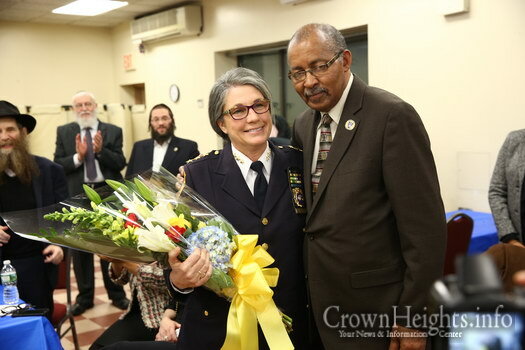 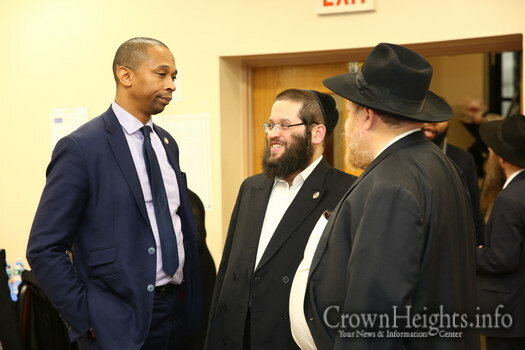 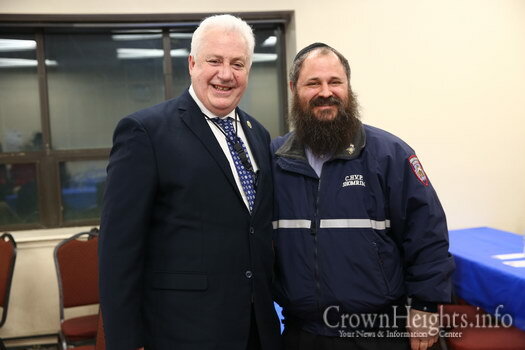 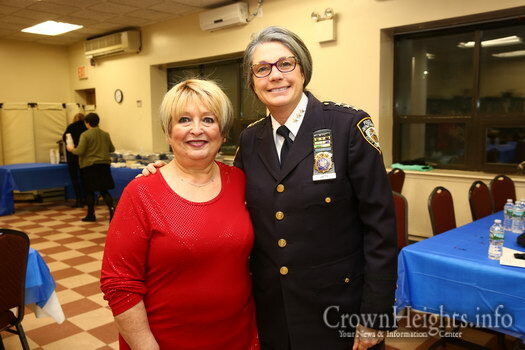 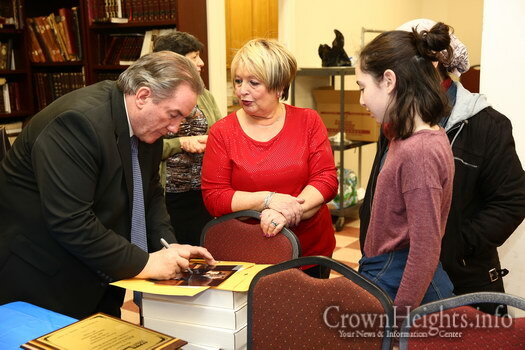 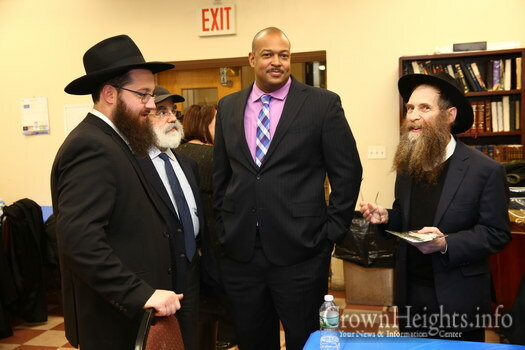 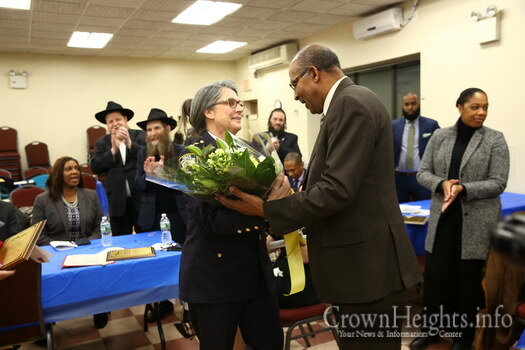 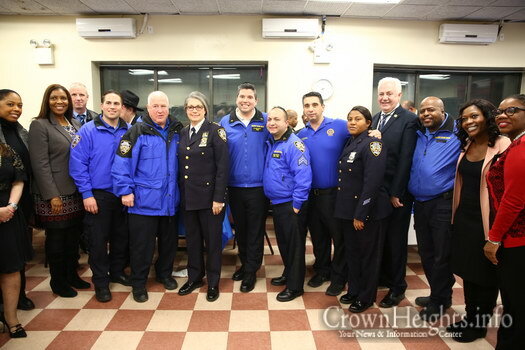 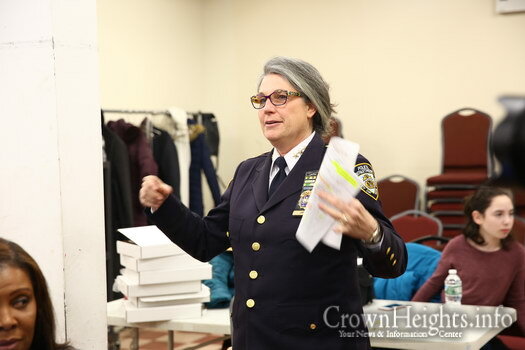 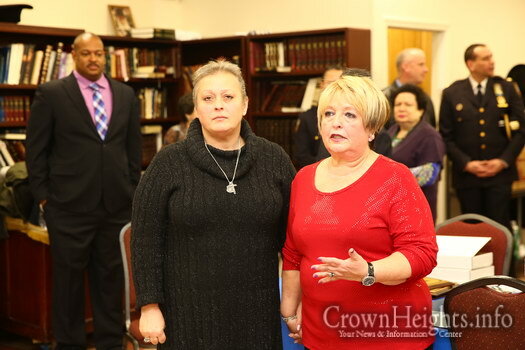 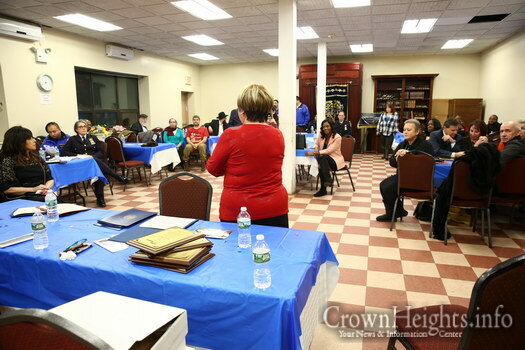 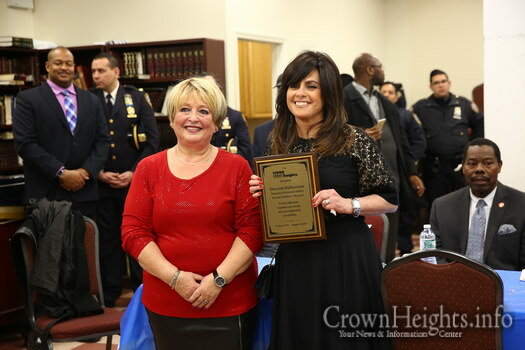 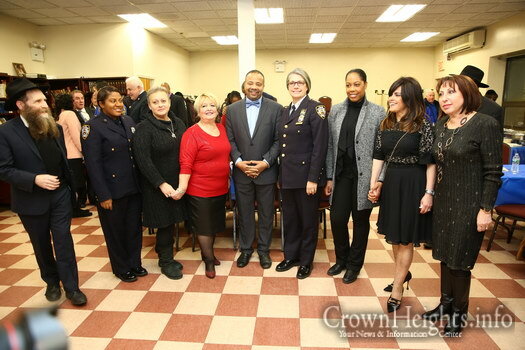 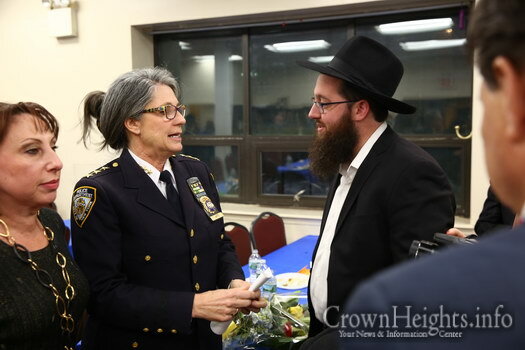 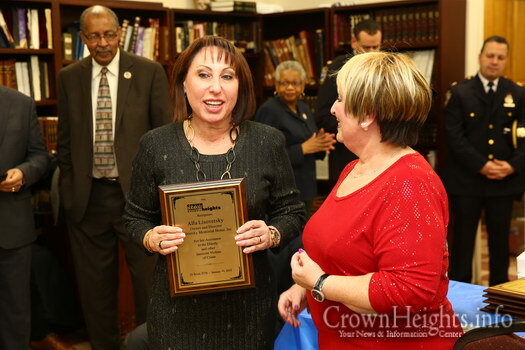 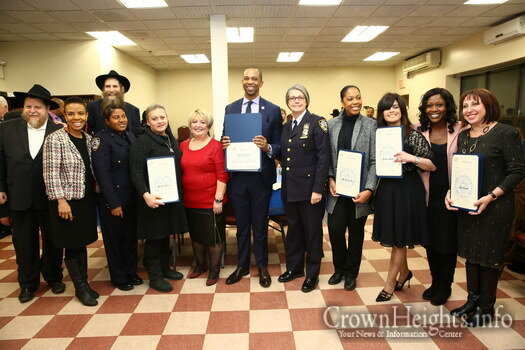 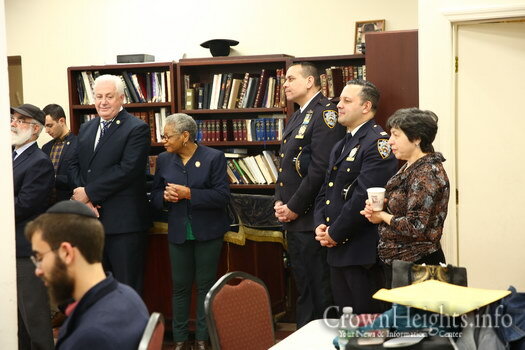 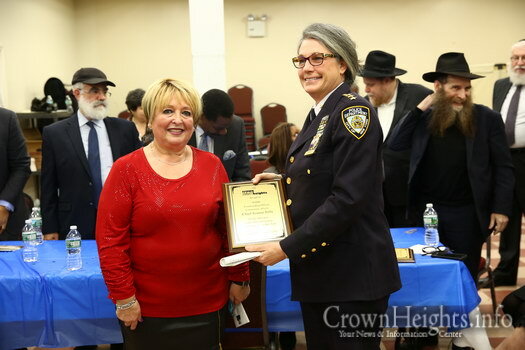 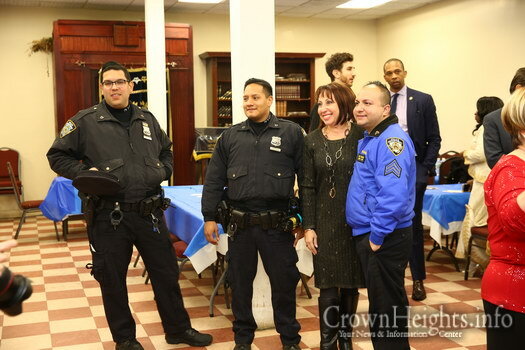 Six victim advocates and female police officers were honored at an awards ceremony hosted by Mrs. Batia Brandel of the victim’s services office of the Crown Heights Jewish Community Council. 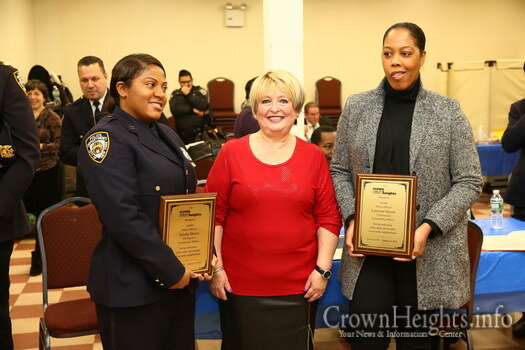 The ceremony recognized the work of three female police officers along with three female figures who advocate on behalf of victims. 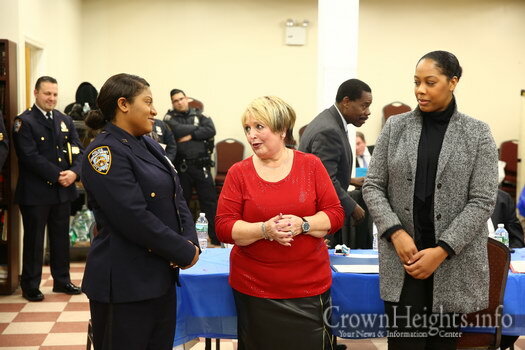 NYPD Chief Joanne Jaffe, head of the Community Affairs Unit, Officer Taisha Skyers, of the 71st Precincts Community Affairs Unit, and Officer Laverne Green, of the 77th Precincts Community Affairs Unit. 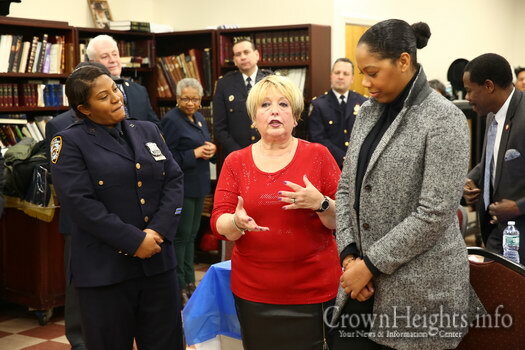 Also recognized was Mrs. Tatyana Timoshenko, the mother of slain NYPD officer Russell Timoshenko who was killed on the streets of Crown Heights, Mrs. Alla Lisoversky, who provides assistance to crime victims through her funeral home in Brighton Beach, and Mrs. Devorah Halberstam, whose son Ari was killed by a Lebanese terrorist on the Brooklyn Bridge. 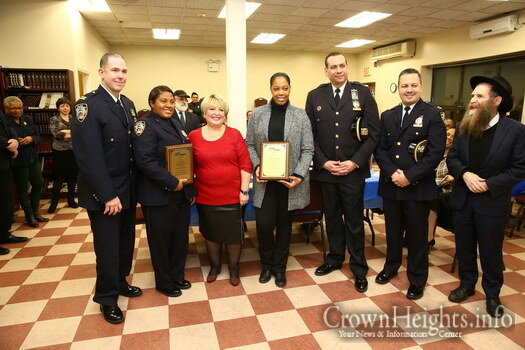 The honorees were presented with plaques as well as citations and commendation from a number of area politicians. 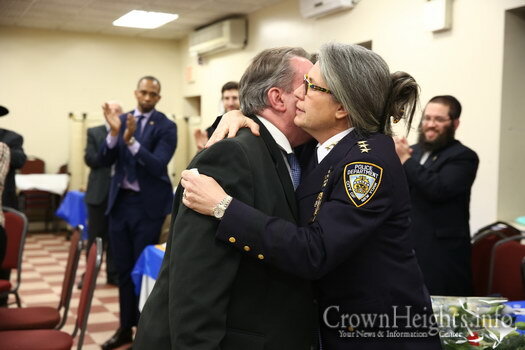 City Public Advocate Letitia James lamented the firing of Jaffe, calling it a missed opportunity and very sternly denounced city hall and the NYPD for its actions. 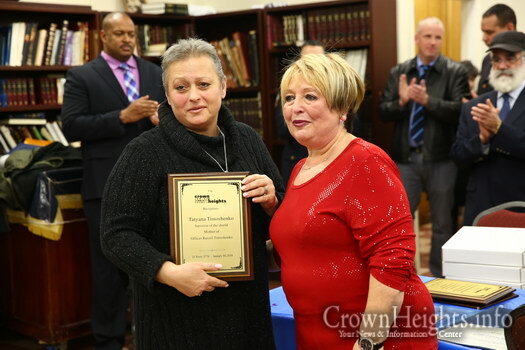 Comments Disabled To "Female Victims Advocates and Police Officers Honored"
The author of this article labeled Rasid Baz as a “Lebanese terrorist” but he is 100% wrong. 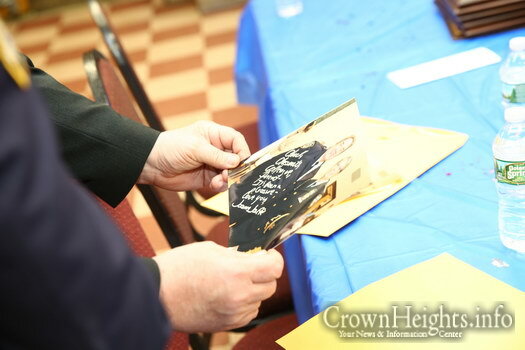 In his defense Mr. Baz was retaliating against “The Cave of Patriarchs massacre”. 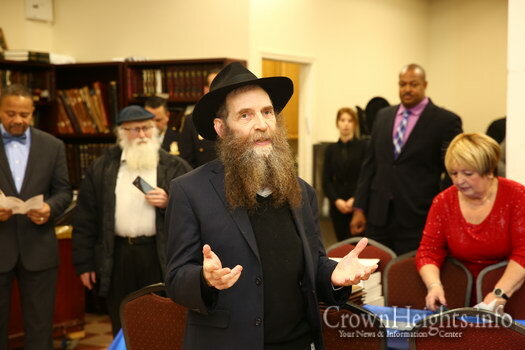 The real terrorist and mass murder is Baruch Goldstein. 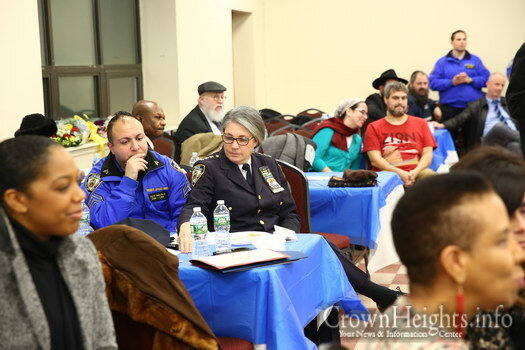 Both Baz and Goldstein are wrong for killing people. 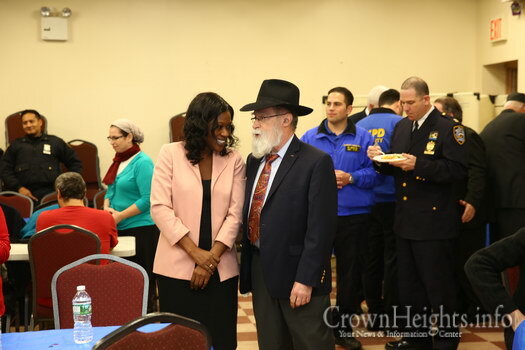 Your false moral equivalency has you justifying the actions of a terrorist, all in the effort to somehow link him with the actions of another terrorist. 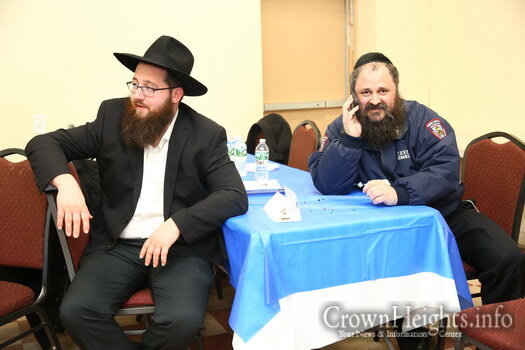 Rashid Baz is an Islamic Lebanese born terrorist who shot up a van of teenagers. 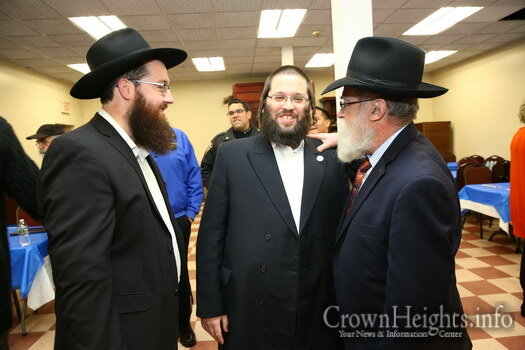 Goldstein has absolutely nothing to do with this conversation. 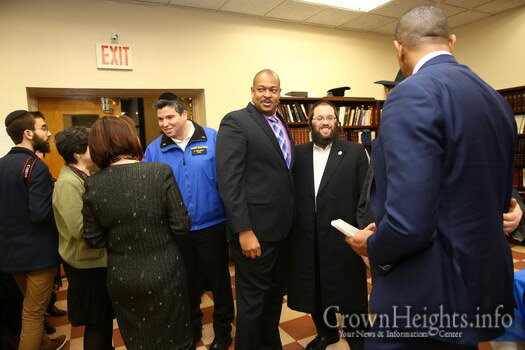 Go crawl back into your Gobbels hole you anti-Semitic hack.